See clips of our most gruesome drownings along with some our best shots ever! This is our second special edition of GRUESOME DEATHS, featuring only quicksand scenes. 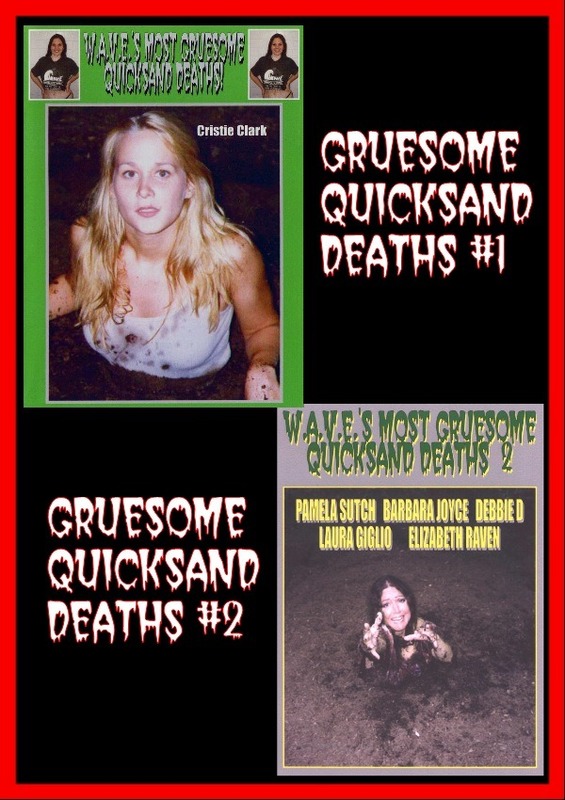 All of our best quicksand scenes from DEADLY QUICKSAND, WITCH OF POWELL FOREST, DEATH BY QUICKSAND and QUICKSAND are here! 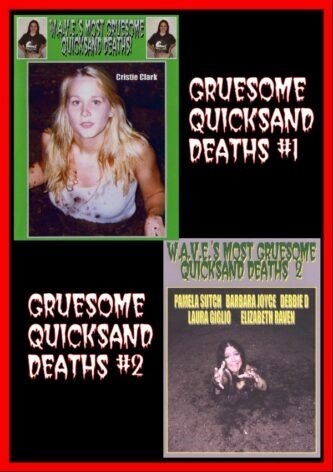 See Laura Giglio, Pamela Sutch, Barbara Joyce, Elizabeth Raven, and Debbie D all sink to their deaths!